What Is Greek Strained Yogurt? Greek strained yogurt is made from sheep's milk. 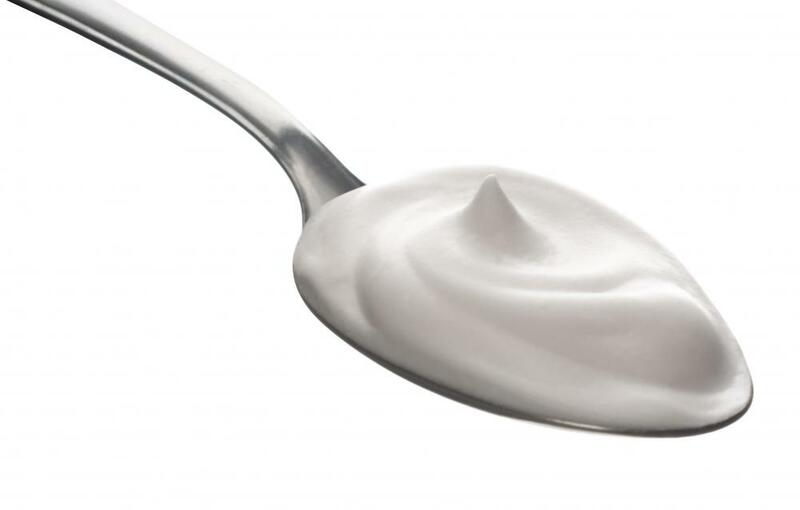 Greek yogurt has a high protein content that is approximately double that of traditional yogurt. Authentic Greek strained yogurt is a type of yogurt made from sheep’s milk in Greece and drained of its liquid whey until the final product becomes thick. Different types of commercial labeling and marketing, however, have expanded the meaning of Greek strained yogurt to include nearly any yogurt that has been strained, regardless of its origin. The resulting strained yogurt has a much more creamy texture than is traditional and can be used in hot foods without any risk of separating from the heat. Greek strained yogurt can be used in cold desserts or as a substitute for other thick dairy ingredients such as sour cream. The liquid strained from the yogurt, called whey, also can be used in cooking and making cheese and can be served as a nutritious beverage. Some of the properties of yogurt change once it becomes Greek strained yogurt. Namely, the strained yogurt contains a much higher concentration of protein and fat, and a slightly lower amount of carbohydrates, lactose and sugar. With the removal of the whey, the yogurt also tends to contain slightly less nutrients than it would if the whey were still present. The whey, meanwhile, contains a high amount of nutrients, acidity, carbohydrates and lactose. Nearly any yogurt can be turned into Greek strained yogurt, although true Greek yogurt traditionally is made from sheep’s milk. Some commercial yogurts also have extra ingredients, thickeners and stabilizers added, so the draining process might not work as efficiently on some styles. The process generally involves placing unstrained yogurt in cheesecloth or another very fine type of filter and letting it drain for a few hours, sometimes while being weighted down. The longer the yogurt is allowed to drain, the thicker it will become. Ultimately, strained yogurt could become so thick that it is able to be handled and molded into solid shapes, although authentic Greek strained yogurt is rarely allowed to become that thick. In addition to being a creamier substitute for regular yogurt, Greek strained yogurt also can be used as a replacement for ingredients such as sour cream and cream cheese. It can be baked into different types of pies or mixed with honey or maple syrup and turned into a dessert. It will not separate, so the yogurt also can be used to thicken sauces, as frequently is done in Indian cuisine. Greek strained yogurt is not as effective in marinades, however, because most of the acidity that benefits marinades is contained in the whey that has been stripped away. What Is Greek Yogurt with Honey? What Is Greek Yogurt Cheese?